Looking for a quick, short-term way to lower your grocery budget? Maybe you work freelance and this is a lean month, or maybe you’re dealing with an unexpected job loss or delayed paycheck. 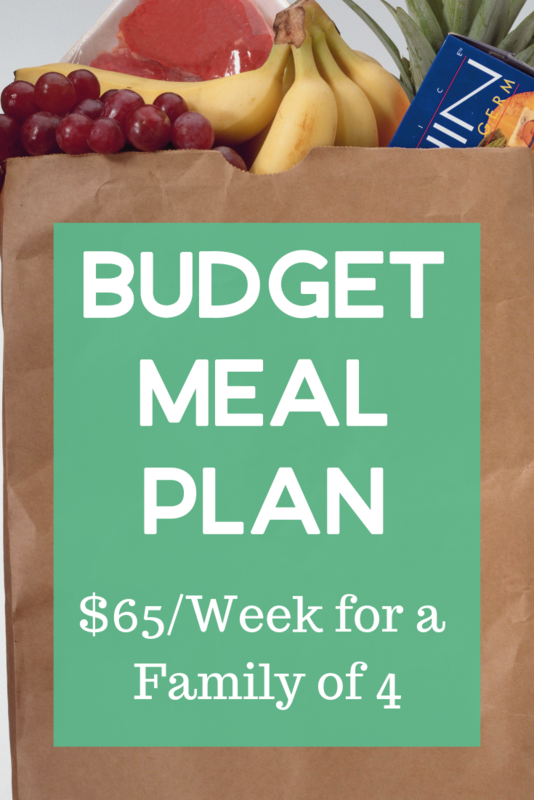 We’ve come up with a budget meal plan that covers all three meals for a week and will keep your bellies full—all for only $65! 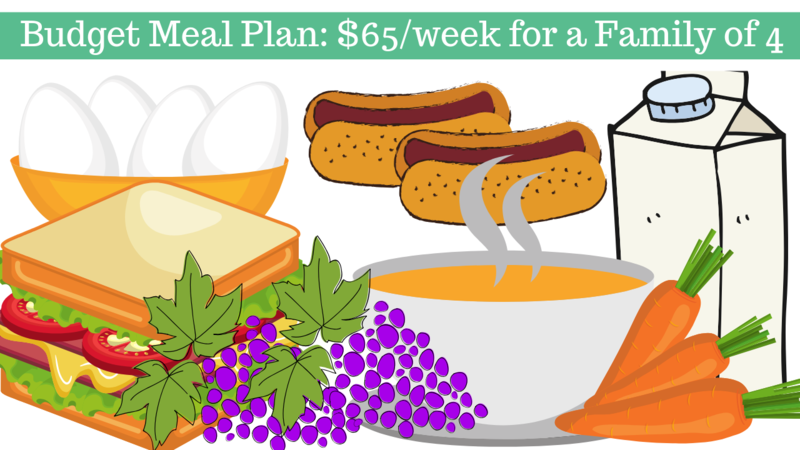 This meal plan assumes a family of 4 with two adults and 2 children, and it doesn’t not take into account any dietary considerations. Substituting in gluten-free or keto-friendly options will increase the weekly cost, but if you’re really desperate, eating scrambled eggs with fruit or vegetables is one of the cheapest, allergy-friendly, most nutrient-dense meals you can choose! As with all of the prices we list at Southern Savers, they are going to vary geographically and by store. In order to come up with this cheap meal plan, I tried to use a reasonable price based on our buy price list as well as the item search to see how cheaply we could get that particular item right now. In cases where an item did not appear on either of those lists, I used our local Walmart price. Note: This is just a guide. If you hate oatmeal then grab cereal, we are trying to focus on good food options that are filling but cheap! There are a few items that you’ll need that you’ll use all week–milk, butter, salad dressing, and bread. I’m also assuming you have pantry staples like mayonnaise, ketchup, spices, and other condiments on hand. For the sausage egg bake, brown 1 lb of pork sausage on the stove. Meanwhile, whisk 12 eggs with salt and pepper. Spray a 9×13 pan with nonstick cooking spray and spread the sausage on the bottom of the pan. Pour the eggs over the sausage, then sprinkle 2 cups of cheese on top. Bake at 350 degrees for about 30 minutes or until set. Slice into squares and serve. For the beans and rice, simply heat up the beans (drained or undrained, however you prefer) and cook a big batch of rice. Then mix them together and add salt, pepper, garlic powder, or other Mexican spices. If you already have salsa, cheese, or sour cream on hand, you can top it with those! Lunch: Eat up all the leftovers from this week! In order to make this as easy as possible, I’ve got three printables to go along with this meal plan. See some of our other meal plans here.